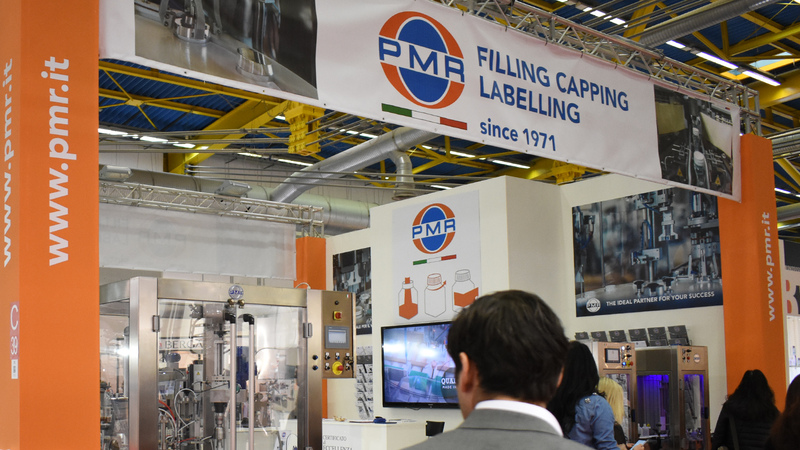 PMR presented in Hall 20 some of the production excellence of this year. 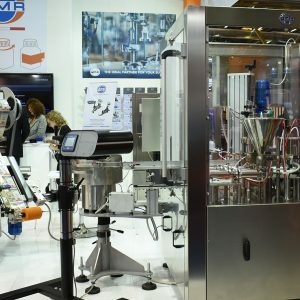 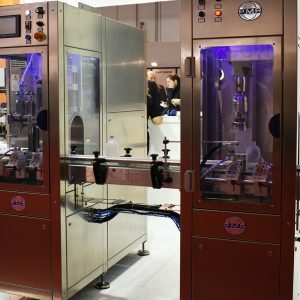 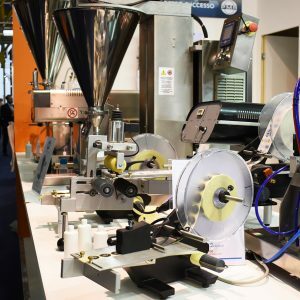 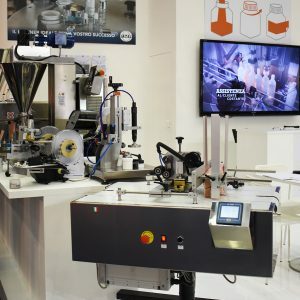 Among the top table machines: the Dispenser for Perfumes, the Pneumatic Doser, the Dosatron and the Dispenser for Powder; all devices that can be used with a wide range of containers with different shapes and materials. 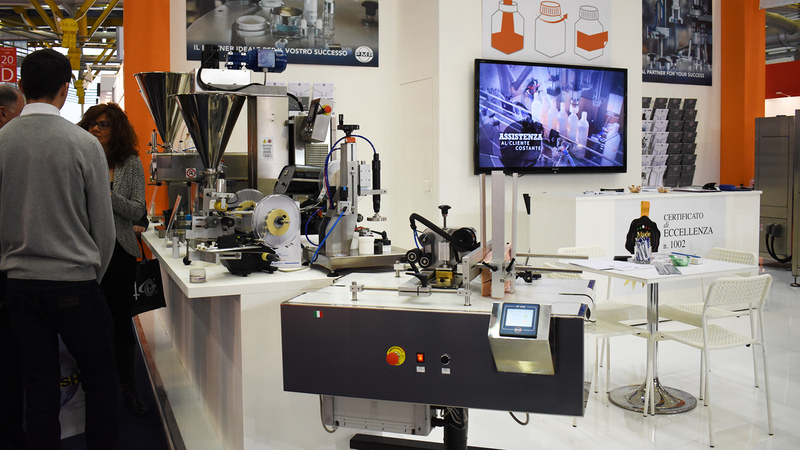 The top table Capping Unit and, for label applications, the models D100 and D160 for round products, very practical and intuitive machines. 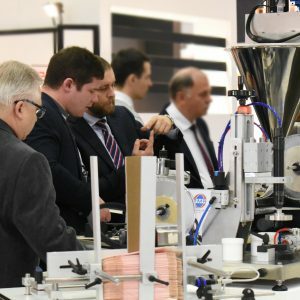 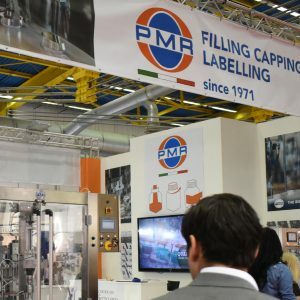 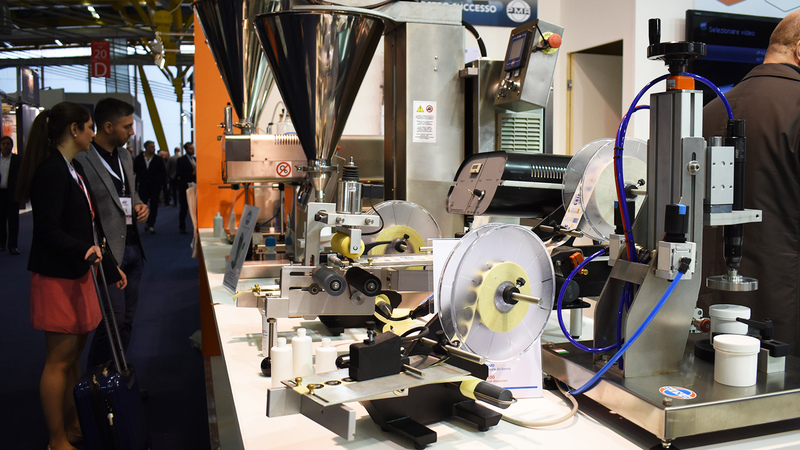 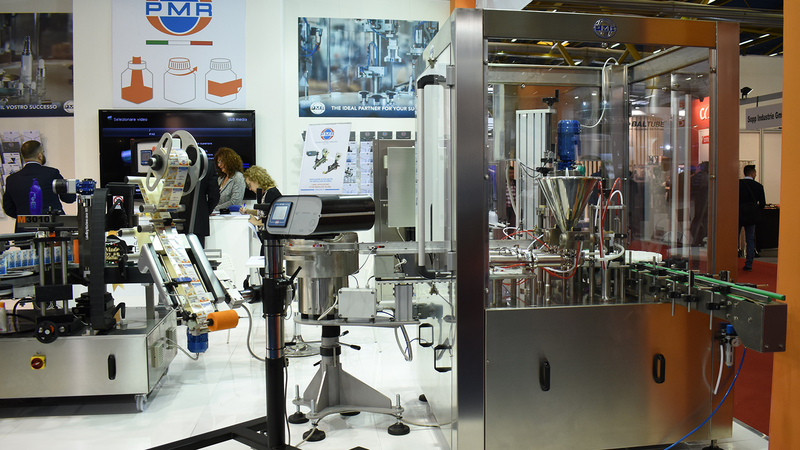 On the stand, the Filling Line and the Filling and Capping Monoblock have been particularly successful. 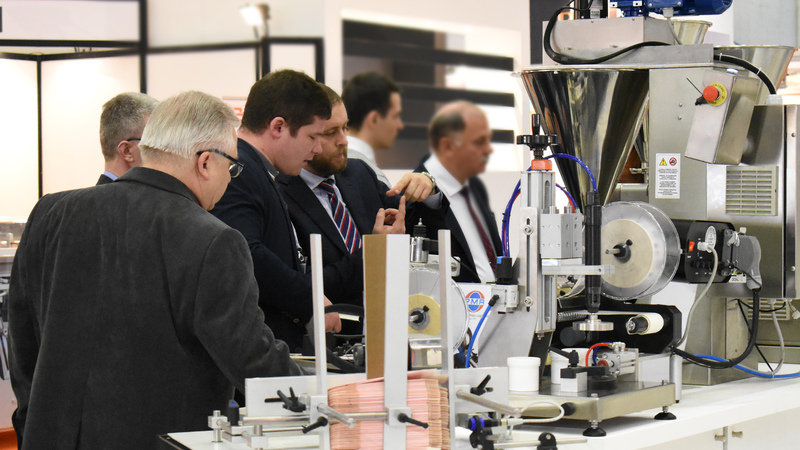 Among the foreign visitors the countries that have shown a particular interest are: France, Spain, Germany, UK, Poland, Turkey and USA. 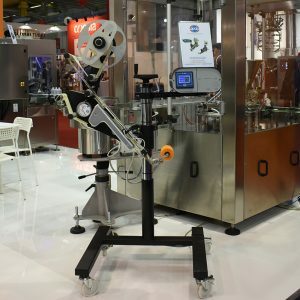 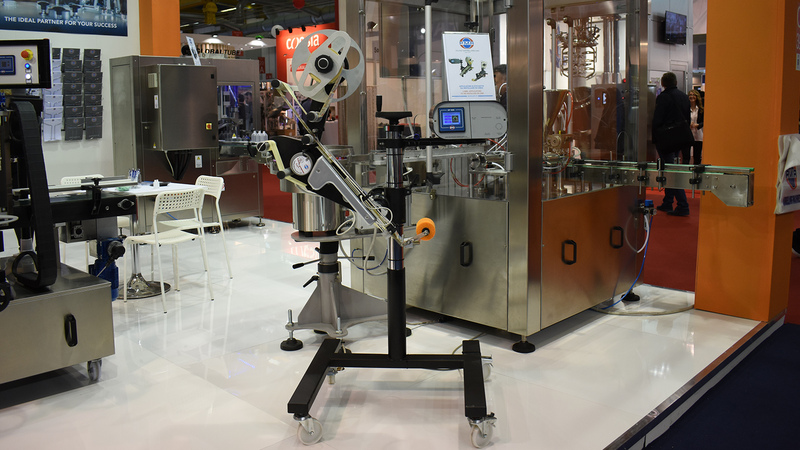 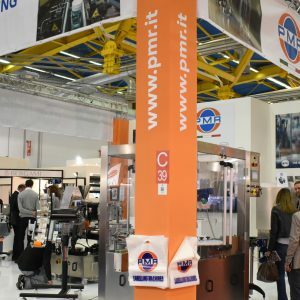 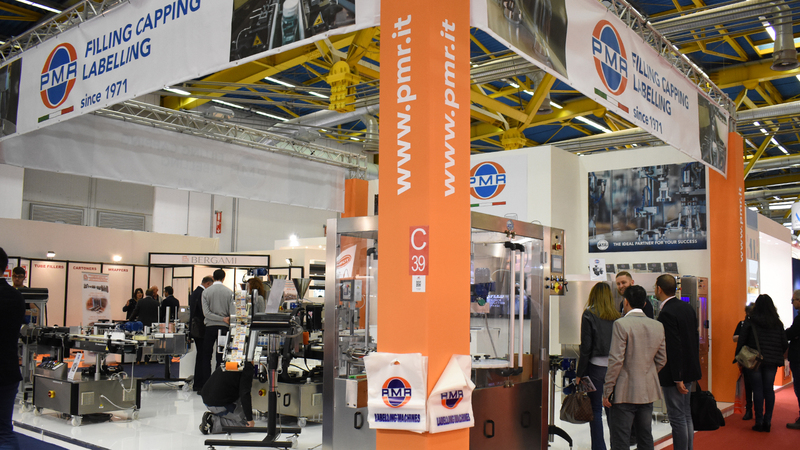 To cover all production phase we have also presented the Robottino, automatic marking system dedicated to flat products having small thickness and flat boxes. 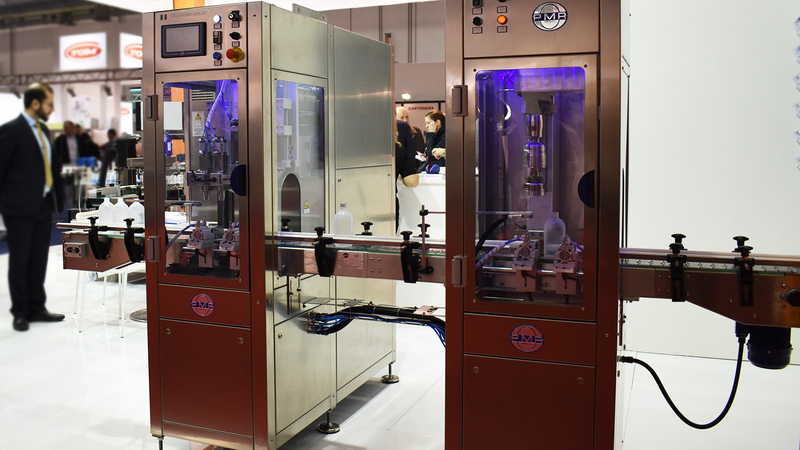 The Labelling Machines 3005 and 3010, historical products of PMR, are customized accordingly to all different customer needs.